Namaste Everyday goals (on and off the mat) written on the studio wall! Complete the Namaste Everyday Challenge - My favorite Yoga studio is hosting a challenge where you practice yoga every day for the month of January. My goal with this challenge (besides completing it) is to establish a better yoga practice and continue to go a few times a week once the challenge is over. Read - This one is pretty self explanatory and I have no excuse considering I received some great books for Christmas (see below). Travel - So far my guy and I have a trip planned to Chicago in the spring and then have talked about the possibility of taking a longer trip in the fall. Devote time to documenting my cooking + health adventures - I finally invested in a good camera! Now I can actually enjoy playing with my food as well as show off the healthy places that St. Louis has to offer. Still looking for a unique gift for the health-minded people in your life? Here are a few of my favorite gift ideas found online! 1. Mandala Coloring Book – Sometimes meditation can be hard with our busy lives. This coloring book will help calm the mind as you focus on the mandalas, putting you in a zen state. Plus, who doesn't want to feel like a kid again? 2. Purple Lettuce Umbrella – Just a little reminder to eat your greens on a rainy day... a little bit of a splurge, but how can this not make you smile? It also come in green too. 3. Coconut Milk Caramels – Usually store bought caramels are made of ingredients such as corn syrup, refined sugar, preservatives and food coloring. These caramels, made with coconut milk, will satiate your vegan sweet tooth without all the bad stuff. 4. Root for Vegetables Tote Bag – The perfect tote for Farmer's Market hauls and a little reminder to eat your vegetables! Note: occasionally this item says no longer available. Usually if you wait a day, it will become available again. 5. Beet T-shirt – Don't just eat your veggies, wear them! 7. Himalayan Sea Salt Lamp – These lamps naturally ionize the air, benefiting allergy sufferers, as well as helping to reduce the amount of electro-magnetic pollution caused by electronics in the home and at the office. 8. Fermenting Crock – The benefits of probiotics are finally known mainstream so the next thing is to make your own kimchi or sauerkraut at home! *all photos used are either from the business' website, facebook, instagram or etsy shop with the exception of Maven and Cheryl's Herbs. Gift guides are all the rage right now so I thought I'd share some items on my wishlist but with a little twist... all local to St. Louis stuff! With Small Business Saturday this weekend, I wanted to show off some of the awesome, healthy gift options we have right here in the center of the USA; Heartland Revival style! 1. Perennial Herb Drying Rack — Perfect for your favorite gardener. Not only practical, it is made entirely of upcycled materials. 2. PuraVegan Treats — It wouldn't be the Holidays without some indulgence so why don't we indulge guilt-free? The treats at PuraVegan are organic and made with only a handful of ingredients! 3. Body Sticks from Maven — Confession, I already have their deodorant but who can have too much of that? It's by far the best working aluminum-free deodorant I've tried. Now, the face oil cleanser I haven't tried yet but it has spirulina in it so that automatically puts it as a want. Both would make great stocking stuffers. 4. My Coconut Kitchen — Everyone has heard the good word about Coconut oil but what about flavored coconut butter?! The Divinely Dark flavor would be awesome in bulletproof coffee! 5. Essential Oils from Cheryl's Herbs — Cheryl does 'em right. Their products are top quality and made in-house. My favorite is the Lavandin oil (stronger than Lavender oil) and their tea tree oil. 6. Missouri Cutting Board — Made entirely out of Missouri wood, this would make a great gift for the ultimate host in your life. 7. Body soap from Buddha Bath and Body — Made from natural and sustainable ingredients, their soap is the most luxurious of homemade products I've found. BONUS, they just opened a store down on Cherokee! 9. Honey Masters Honey — A great organization as well as local. Good for your soul and immunity during the cold & flu season! 10. Sunflower Massage Gift Certificate— Not all massage studios are created equal. This one is privately owned and all of the therapists are very professional and considerate of your health history and any concerns. And they use Cheryl's Herbs essential oils to boot! 11. ReTrailer Tea — One of my very favorite local brands, Lisa's teas are not only delicious but have Ayurvedic healing properties. Please see either the websites linked or Facebook pages on where to buy. I know that I did not cover all the great, healthy gift ideas St. Louis has to offer so if you have anything additional to add, please share below! In our house, we try and limit the carbs but sometimes a girl just needs some bread. So the latest gluten-full thing I have been making are sourdough English muffins using my trusty old sourdough starter. Besides the occasional Ezekiel bread purchase, (ok, and that box of pumpkin cornbread I got at Trader Joe's the other day) I prefer to make homemade bread so that I have control of the ingredients and I know what I'm eating. After a quick recipe search, I came across this recipe and have since made it twice. Practice does make perfect but they taste delicious all the same. See my recipe interpretation below for some ingredient options in case you have a dairy allergy or want to make it vegan-friendly. Stir the starter into the milk until it's dissolved and then add the flour. Stir to combine, cover with a plate or plastic, and leave out for 8 hours or overnight. I have left it for only 6 hours and it's done fine. Next, add the honey, salt and baking soda and mix well. Turn onto a lightly floured surface and knead for a few minutes with wet hands. Flatten it out to 3/4" thick and cut with a biscuit cutter or a drinking glass into rounds. Repeat with scraps until they've all been made into rounds. Place muffins on a surface dusted with cornmeal or flour cover and let them rise for about 45 minutes to an hour. Spray skillet (or griddle if you're fancy) lightly with spray oil or add a little butter. (If it’s nonstick, you may not need any grease at all.) Heat to medium high and cook muffins for about 4 minutes on each side, or until browned on the top and bottom and cooked through. Notes /// Using WET hands when touching the dough is very important! I also run the biscuit cutter under water to keep it from sticking. Recipe adapted from here. For more information on a sourdough starter go here. These muffins make a perfect quick breakfast for me as I'm known to roll out of bed and head for the office. After cooking up a big batch, I let them cool and then go ahead and split them, individually wrap and then store them in the freezer in ziplock bags. When you're ready to eat one, just pop them into the toaster and top with your favorite nut butter. (or in my case, peanut butter with chia and flax seeds from Trader Joe's.) They are pretty great at other times of the day too. Mini pizzas with homemade sauce and fresh mozzerella? Done. Tuna or Egg salad? Easy-peasy. Quick snack to cure the hangries? Been there, done that. Interested in easy ways to implement a more-fun, fewer-ingredients way to eat? Contact me for a FREE session to go over all of your health and food desires. Big changes over here with a move and merging of two households! I've basically been making the same dishes with my CSAs so I am combining 8+9 into one post. Despite the hectic schedule that comes with a move, I was still able to can and preserve some of my CSA. I mainly canned tomato sauce and pickles with these two CSAs and also made a batch of sun-dried tomatoes in the dehydrator. Looking forward to having fresh produce during the blustery Missouri winter months. Melons: (watermelon) as a snack! My CSA pickup was on July 3rd right before the holiday weekend so I wasn't able to plan and start enjoying until the Sunday after the 4th of July. Boy, was I glad to come home to some fresh vegetables after the (to many) fried fair foods and sweets. So far, this is the share that I am most familiar with except for the fennel... to be honest, the fennel makes me very nervous. I am not a fan of licorice and when I put the fennel away, I caught a whiff of just that. After some googling "fennel recipes", I decided on Roasted Fennel with Parmesan from Food Network. The reviews claim that the licorice taste goes away when roasted, and I love anything with parmesan on it so this seemed the best choice. 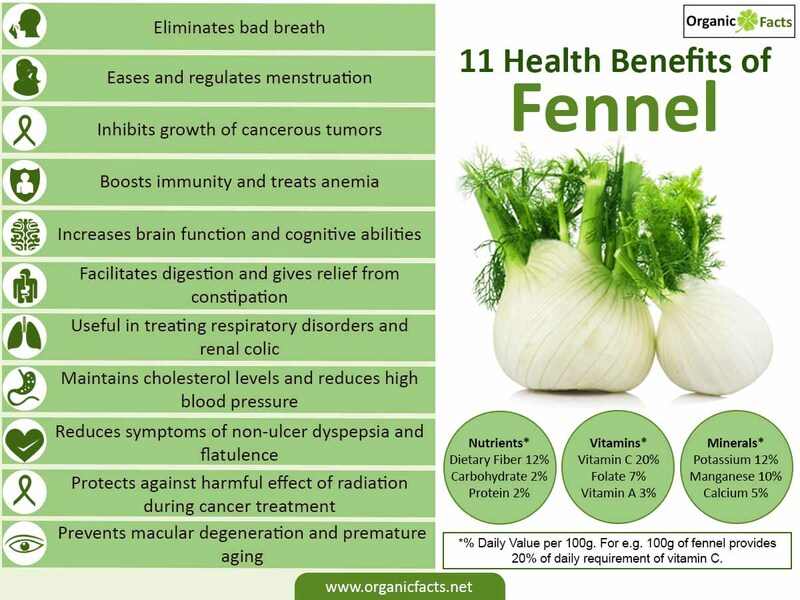 As I am writing this, I have made most of the below except for the fennel so I will come back and update my experience. Hope everyone enjoyed the holiday weekend! FENNEL UPDATE /// In attempt to use up the rest of my CSA, I combined the cabbage, carrots and fennel, roasted with thyme and rosemary, and then topped with fresh parmesan cheese. As a whole, it wasn't too bad! I am still getting used to the fennel flavor but am open to using it other ways to see what I like best. After all, it it very good for you! After receiving Kohlrabi in my share last week, I was a little perplexed. I had never seen or eaten Kholrabi so I was at a loss as to how I was going to use it. After some research, I found a few salad recipes to try it in and ended up making a salad of mixed greens, red onion and equal parts Kohlrabi + apple. I am a fan of making homemade salad dressings and have gotten pretty good at winging it so for this salad, I made up a sesame seed dressing. I'd say it turned out pretty well so I thought I would share the recipe. Put all ingredients into mason jar or container with lid and shake until combined. The dressing will store in the refrigerator for about a week. Shake to recombine before using. Here is the latest and greatest from my CSA. This week's share had several items that I had never eaten or cooked with but I am up for the challenge. Using more ingredients sourced locally and in season has started to change my thinking when shopping at the grocery store. I can tell tremendously the difference in quality of foods out of season compared to in season. It feels good to be more in tune with nature! What new vegetables have you tried lately? It's so easy to Google recipes and find how to prepare foods; there are no excuses with today's technology. Next time you are at the store or farmers market, purchase a vegetable that you've always wondered about but never had the courage to try it! Yesterday, we finally got to carve the pumpkins we picked up at Eckert's a few weeks ago. I also had a pumpkin seed request, which I happily obliged. Since I don't eat a lot of meat, they are a great source for iron as well as making my keto guy happy. Pumpkin seeds are also packed with magnesium, potassium, zinc, fiber, healthy fats, and protein. I made 3 variations, one simple with just olive oil and sea salt, the second with olive oil, bbq seasoning and cayenne pepper and then the third, a "sweet" version with coconut oil and cinnamon. A little trick I found helped a lot with this year's batch; boil the seeds beforehand! It makes them easier to digest as well as helping the outsides get crispy without burning the interior seed. Created a terrarium for my sister's birthday/housewarming gift, using this guide. As a designer, it's always nice finding other ways to use my creativity.